Hello everyone! I hope you all will be absolutely fine and having fun. 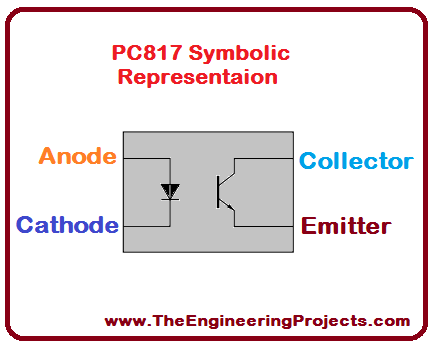 Today, I am going to give you a detailed Introduction to PC817. PC-817 is also known as an optocoupler / optoisolator. It consists of Infrared Emitting Diode (IRED). This IRED is coupled to a photo transistor optically and not electrically. It is closed in a four (4) pin package. This package is usually available in two different forms. The first one is wide lead (Pb) spacing option and the second one is SMT gullwing lead form option. PC 817 has an internal LED and a photo transistor. The photo transistor’s base becomes activate when LED throws light on it. The output obtained can be divided into two formats either common emitter or common collector. But the configuration is mostly common emitter. If the LED does not glow, transistor remains off and hence there will b no output generated by the optocoupler i.e. PC-817. PC 817 has different feature e.g. double transfer mold package, current transfer ratio, different CTR ranks available, RoHS comliant, lead (Pb) free etc. Its real life application includes noise suppression in switching circuits, programmable controllers, signal transmission between circuits having different voltages, signal transmission between different impedance etc. The further detail about PC817 will be given later in this tutorial. 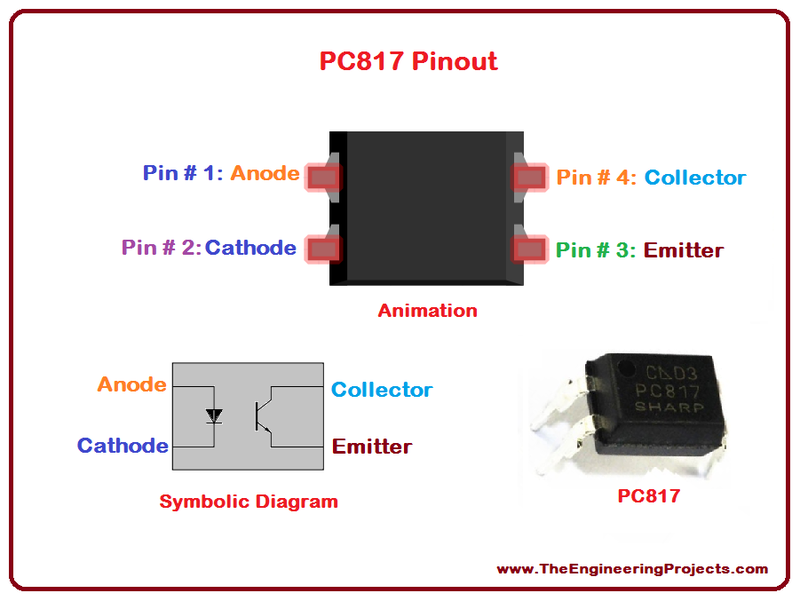 PC817 is a 4 Pin optocoupler, consists of an Infrared Emitting Diode (IRED) & photo transistor, which enables it optically connected but electrically insulated. Inrared Emitting Diode is connected to first two Pins and if we apply power to it, then IR waves are emitted from this diode, which makes the photo transistor forward biased. If there’s no power on the input side, diode will stop emitting IR waves and thus photo transistor will reverse biased. 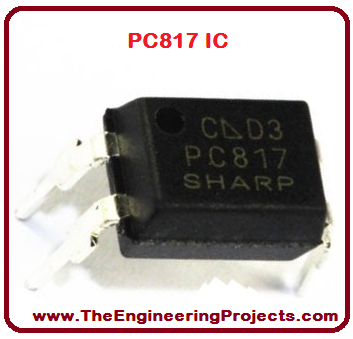 PC817 is normally used in embedded project for isolation purposes. In my embedded projects, I place PC817 after Microcontroller Pins to isolate back EMF, in case of motor control etc. PC-817 has several applications e.g. noise suppression in switching circuits, input/output isolation for MCU (Micro Controller Unit). PC 817 is shown in the figure given below. PC817 Pinout consists of four (4) pins in total, first two are connected with the Infrared Emitting Diode (IRED) while the last two are connected with Photo Transistor. All of these four pins are given in the table shown below, along with their name & status. Different packages of the same device presents its models with some modifications or extra features. Symbolic diagram presents internal structure and functionality of any device. The features of anything shows its ability to do something different and unique as compared to the others. 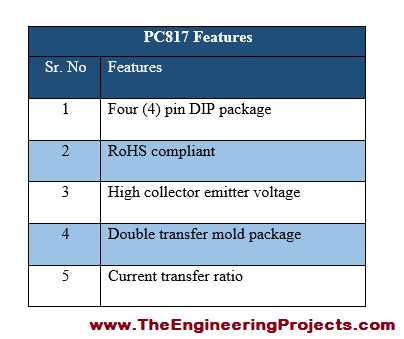 All of the amazing features associated in the PC-817 are shown in the table given below. Ratings of an equipment shows shows basically the operating conditions of that particular device,and they may vary from device to device. 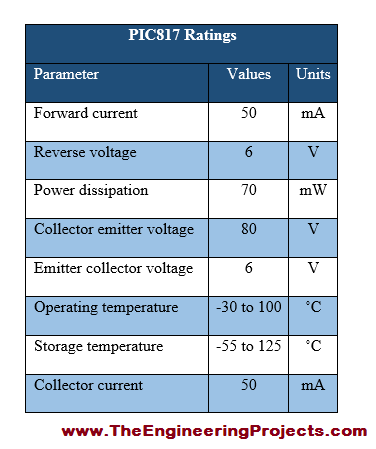 The power, current and voltage ratings of PC 817 are given in the table shown below. Any electronic device is usually known on the basics of its real life applications. Real life applications are highly related to the popularity of a device. 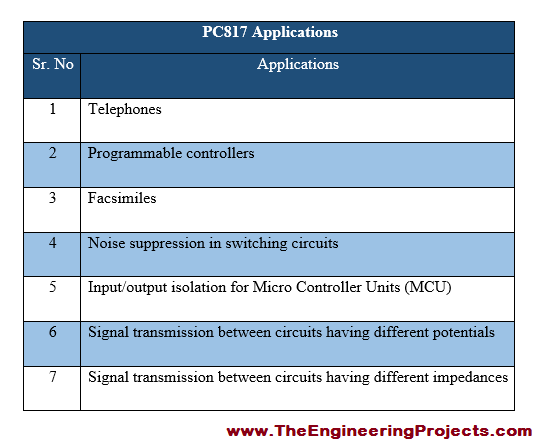 some of the major real life applications of PC-817 are provided in the table shown below. Sir Plz check PC817 pins as given you have point collector as emitter & emitter as collector(pin # 3 as emitter & pin # 4 as collector). Thanks for mentioning it out. We have corrected it and updated the new images.